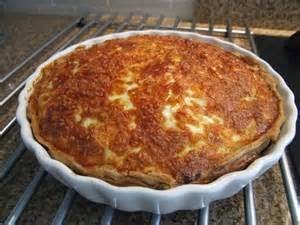 This is a recipe for a basic cheese and onion quiche, but you can vary your filling with shallots and asparagus, tomatoes, red pepper and goats cheese etc. Make pastry base filling - sieve flour into a bowl, chop butter into small cubes and add to flour. Rub butter into flour until resembles fine bread crumbs. Break one egg into a mug and fill with cold water and mix. Add half of this mix to the bread crumb mix and mix with a fork. Add more egg and water mix as required until mixture forms a dough (better to be too wet than too dry). Turn on to a lightly floured work surface and lightly kneed until smooth. Wrap in cling film and rest in the fridge for half an hour. 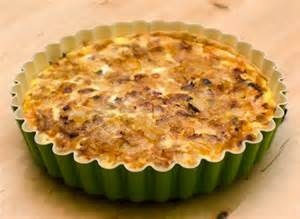 Roll out into a circle large enough to fit a 12 ins or 30 cm deep fluted flan dish. 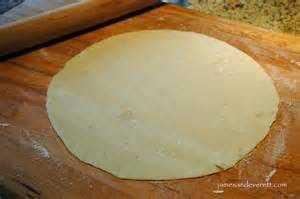 Cut out a circle of greaseproof paper to go over the pastry and put baking beans on top and bake blind in pre-heated oven at 180' or Gas Mark 5 for 15/20 minutes until partially cooked. 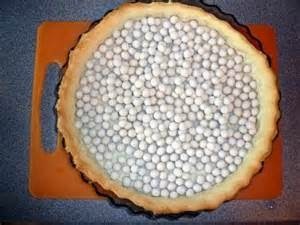 Remove baking beans and paper, brush bottom of pastry case with egg white to prevent soggy bottom and put back in the oven for a further 15/20 minutes until golden brown and cooed through, but not overcooked. (better under cooked). Meanwhile make filling of your choice - finely chopped onions and fry without colour. Put eggs and milk in a measuring jug and whisk. 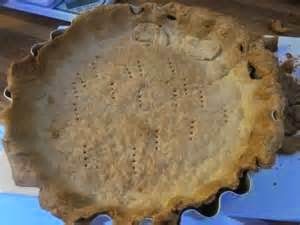 Remove pastry case from oven. 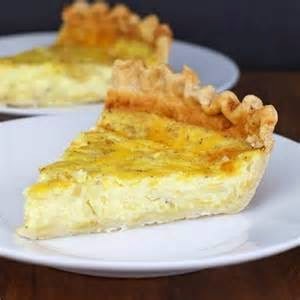 Cover bottom with onion, top with cheese and add any herbs you wish to the egg mixture and seasoning and carefully pour over the onion and cheese mix. Cook at 180' or Gas Mark 5 for 30/40 minutes or until golden brown and firm to touch. 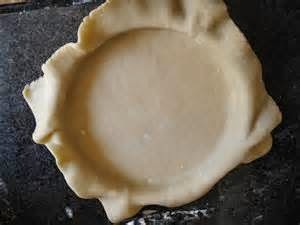 Please note - it is essential that there are no holes or tears in the pastry base as all the filling will leak out!